French President Emmanuel Macron has described recognition by the U.S. of Jerusalem as the capital of Israel as a dangerous threat to peace. 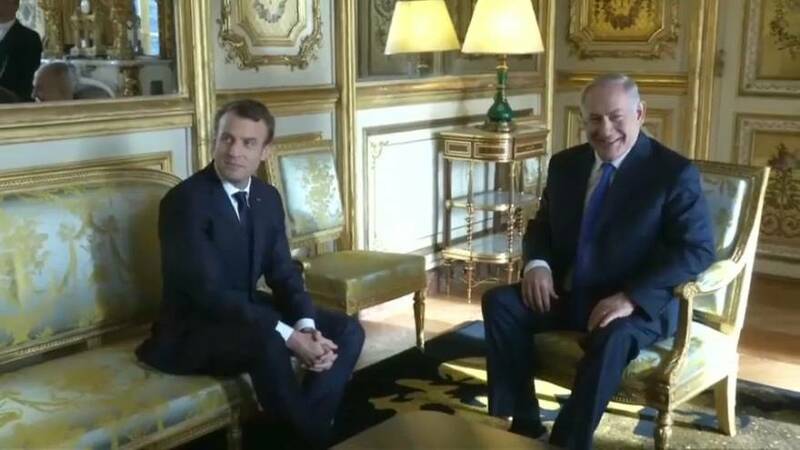 Meeting with Israel's prime minister in Paris, Macron told Benjamin Netanyahu France was against the move and he urged the prime minister to make gestures to the Palestinians to give peace a chance in the region. "I have explained to Prime Minister Netanyahu my disapproval of the recent declarations made by the president of the United States that France considers contrary to international law and dangerous for peace," he said. "They do not seem to serve in the short term the need for security, including the security of Israel and Israelis". "It's a pleasure to see you again in Paris," he said. "Paris is the capital of France. Jerusalem is the capital of Israel. It has been the capital of Israel for 3,000 years, it's been the capital of the Jewish state for 70 years. We respect your history and your choices and we know that as friends, you respect ours." Meanwhile hundreds of pro palestinian supporters took to the streets of Paris and other French cities to protest Netanyahu's visit to the French capital.